Newly constructed homes can have a lot of appeal. If you buy a house before it’s actually built, you often have the chance to customize it based on your preferences. Or if the construction is already complete, you likely won’t have to worry about making repairs or renovations for a while. Despite the perks that go along with buying a brand-new home, it’s not a completely fool-proof process. There are a few potential obstacles you could come across that might make your move-in a little bumpy. If you’re looking to score a great deal on your first home, buying a new one may mean paying a higher price. Depending on where it’s located, new homes can cost as much as 20% more than an existing home. The developer might not give you much wiggle room to haggle down the price, so it’s a good idea to shop around until you find a home you can afford. When a new home is part of a larger development scheme, all of the houses are usually built along the same lines. That means that the floor plans and finishes are going to be virtually identical from one property to another. 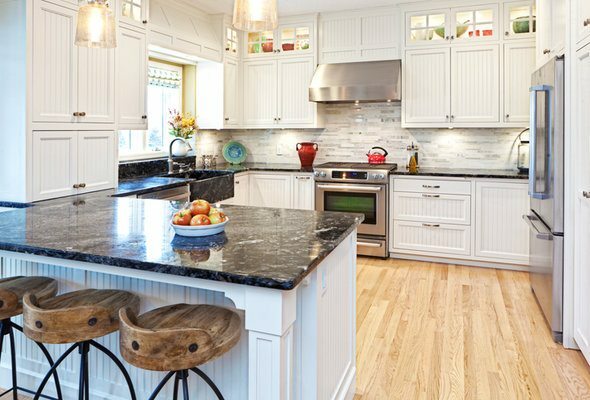 If you want to add a personal touch – such as stainless steel appliances instead of basic black or hardwood floors rather than carpeting – it likely means being prepared to hand over more money. 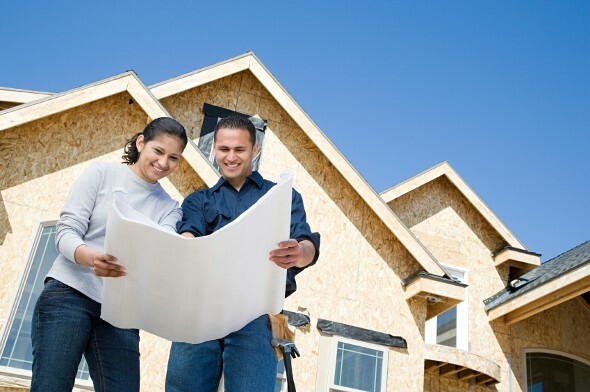 Should First-Time Homebuyers Build Their New Homes? Even if a home is new, there may still be hidden flaws or defects. Spending a few hundred dollars for an inspection can feel like a waste of money, especially if you’ve already reached the limits of your budget. But it’s well worth it to have the home looked over by a professional. If there’s an issue with the wiring or the plumbing, for example, it’s best to find out before you buy it so you can negotiate the cost of repairs when you head into closing. If you’re buying a new home in a neighborhood with pre-planned development, there might be a homeowners’ association (HOA). If that’s the case, you might have to pay a fee just for living there that could run anywhere from $200 to $1,000 a month. These fees typically have to be paid separately from your mortgage, although some lenders may allow you to escrow them. Aside from homeowners’ fees, it’s important to also consider how much your property taxes and homeowners insurance are going to cost. If you’re living in a nicer neighborhood surrounded by other newly constructed homes, it’s likely both of these expenses could cost you more than they would if you were living in an older home. Home builders launching new developments often build model homes for prospective buyers to tour. The model home is usually customized to a certain degree and the builder may allow you to buy it at a reduced rate if it’s the last home available once the development is finished. There may be a little wear and tear if hundreds of buyers have trekked through but it can be a small price to pay if you’ve got your heart set on buying a new home without busting your budget. Talk to a financial advisor about how buying a home will factor into your larger financial plan. 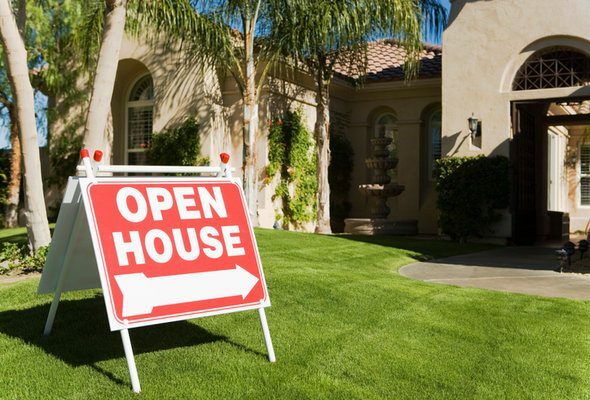 You want to ensure you can purchase a home without sacrificing your other financial goals. A matching tool like SmartAsset’s SmartAdvisor can help you find a person to work with to meet your needs. First you’ll answer a series of questions about your situation and goals. Then the program will narrow down your options from thousands of advisors to up to three fiduciaries who suit your needs. You can then read their profiles to learn more about them, interview them on the phone or in person and choose who to work with in the future. This allows you to find a good fit while the program does much of the hard work for you.